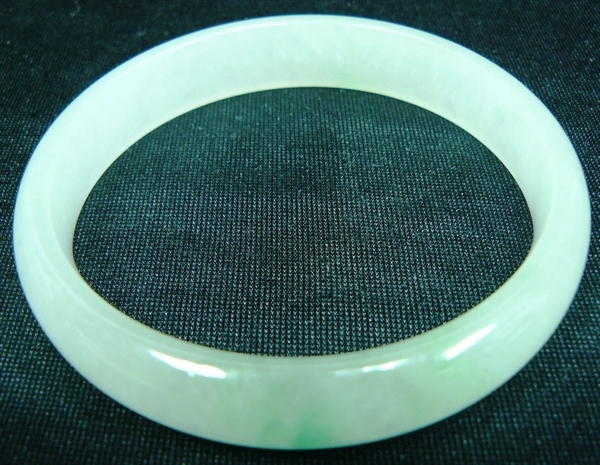 This bracelet is made from one solid piece of natural hard jade. 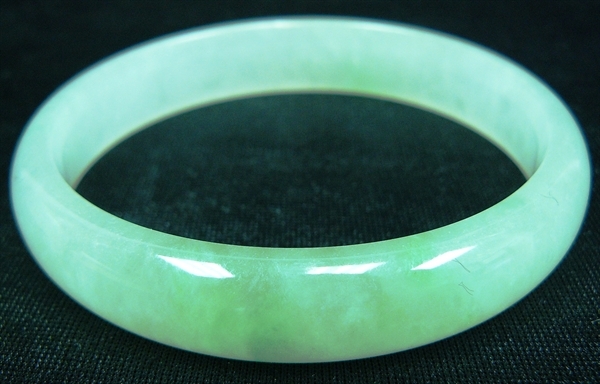 It appears light green with some spots dark green. It is transparent. 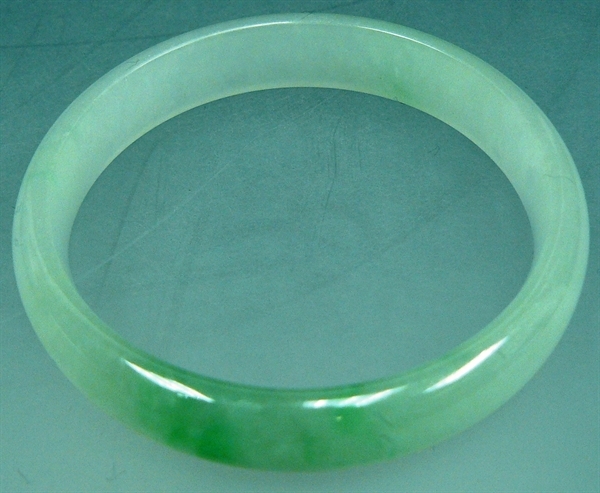 Wearing jade bracelet is believed to improve your fortune. A good quality jade bracelet will last for a very long time and some people believe that its color will be changed a bit as time goes by, which means it reflects your fortune, believe it or not.